Aged 18 to 25 years-old, they have changed laws, built schools, mobilized women, men and children by the thousands. This is unknown, untapped. On every corner of the planet, the youth dare to dream, experiment and live big. When everyone, every institution around them have failed. This might be the most important story ever. One of a deep change, universal and accessible to all, if we pay attention. Growing inequality, food, climate and migration crises, corruption… We know the data, the facts, the evidence. Most solutions already exist. Everything is on the table, except the will to change. We feel and thus are restrained, powerless. We may lack a positive representation of change, role models, aspirations which would be… BIGGER THAN US. With their clear and uncompromising words and actions, these young change-makers blow our minds. And lead us along a way where no factual arguments or scientific warnings could hitherto convince us or inspire us to go. 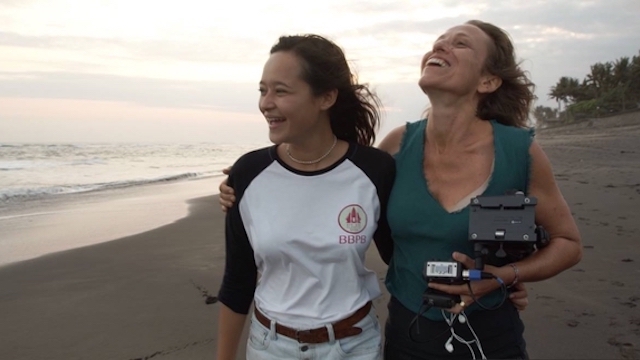 Flore Vasseur, director and co-producer of the film, has been nurturing this idea for almost three years, specifically since she met Melati Wijsen and realized that everywhere, young people are raising their voices and taking action where and when adults are mostly giving up. Now, we really want to start the filmings as soon as possible, not after May ! Filming should be completed by the end of 2019, edited and in post-production for semester of 2020, to be released during the second half of the year. This is as fast as we can go. During events currently organized in Paris (and live on the internet) after each filming stage : our director Flore and her crew will share directly with you what they have witnessed and learned on the field. In real time and in a completely unfiltered way. There will be 7 or 8 such meetings like this, and at least one with Melati present. These events will be open to all, and insofar as possible, free of charge. At local gatherings organized in each filming location by the young activist that we will meet : it could be a workshop, a concert, a press conference... to share with his community and all those interested. 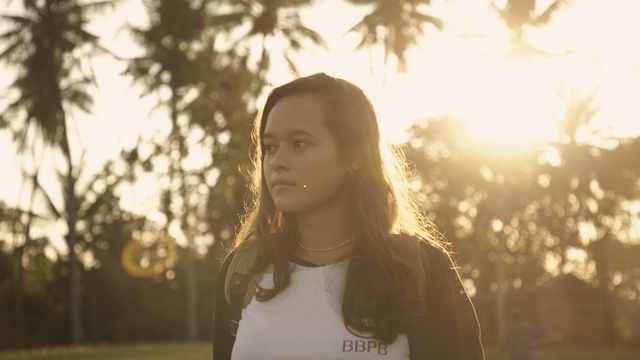 Our film tells the journey of Melati Wijsen who decides to go around the globe to meet her peers, young activists just like her, who already have managed to have a huge impact in their fields thanks to their creed and strenght. Melati feels the clock ticking and sees change is too slow. She wants and she needs to understand what is preventing change. To join forces with others and to come up with a new plan. For the last six years, Melati has been lobbying her local government to ban the sale and distribution of plastic bags in her island, Bali. She organized rallies, beach clean-ups, marches, petitions, went into a hunger strike, and constantly raises awareness among kids, but also world leaders at major international events. In January 2019, a ban of plastic bags in the capital city Denpasar was announced. "Us youth may only be 25% of the world's population, but we are 100% of the future." Xiuhtezcatl is an indigenous climate activist, hip-hop artist, and powerful voice on the front lines of a global youth-led environmental movement. He is one of the twenty-one young people who filed charges against the US government for failing in its duty to protect the environment for the future generations. 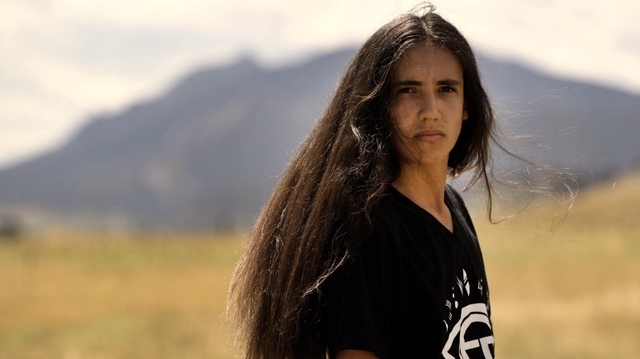 Xiuhtezcatl uses both legal tools and music to have an impact on all fronts. He fights to make adults accountable and youth responsible. Memory is a major figure against child marriage. She mobilized girls to stand up against harmful traditional practices, influenced community leaders and managed to get the constitutional legal marriage age raised from 15 to 18 for the whole country. 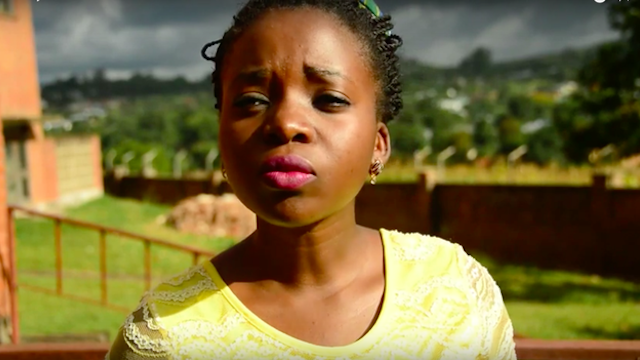 She is dedicated to educating young girls, promoting, defending and advocating for their rights. 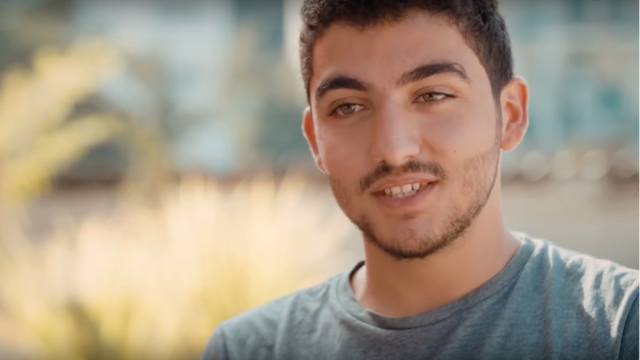 Mohamad created a school in a refugee camp in Lebanon after escaping the repression of the Syrian revolution with his family. When he arrived in Aley at 12 years old, he was denied education and he decided to etablish a school to give a chance to children like him. Today, 200 Syrian refugee children attend school thanks to Mohamad. He won the International Children’s Peace Prize 2017 for this work. 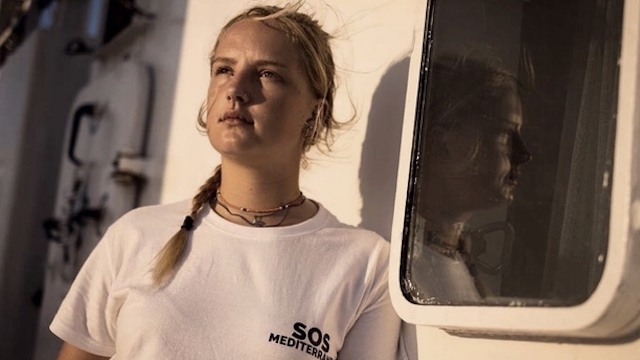 After spending two years volunteering and working on emergency relief efforts for refugees in Greece, France and on the Aquarius rescue boat, Mary is now studying midwifery before going back to do more humanitarian aid work. 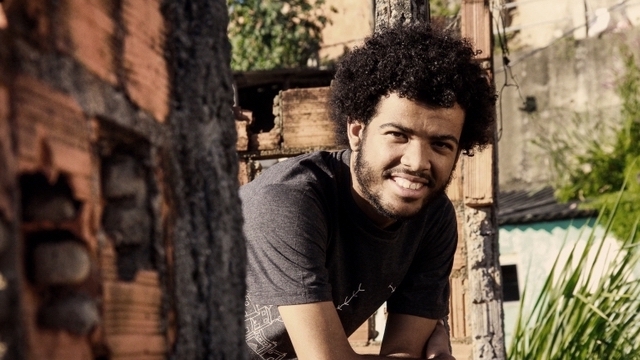 At 11 years old, Rene created the first media to share information and stories about his favela written by and for the community. It covers violence, corruption but also many stories of resilience. Today Voz das Comunidades distributes more than 15 000 copies, in more than 15 favelas in Rio de Janeiro. 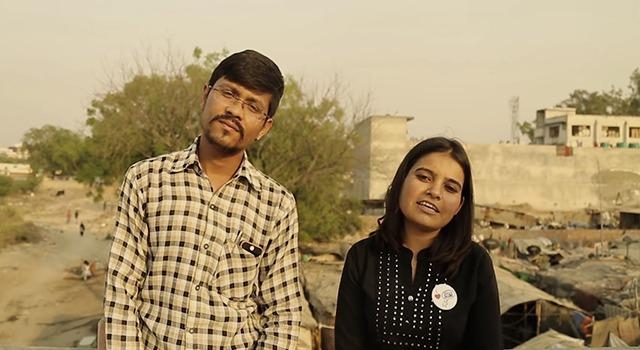 Chandni and Dev united to create Voice of Slum, an initiative helping street children escape extreme poverty loops they are trapped in (child labor, slavery, prostitution…). As most of our BIGGER THAN US heroes, it is because they managed to escape this tragedy themselves that they know what to do to help the other children around them : know your rights, go to school, have a decent future. A documentary like BIGGER THAN US is funded as it goes along. It is a huge bet. We - Flore, Marion and Denis, felt compelled to delve into this adventure and support Melati’s urgent desire to have an impact. To date, we have covered all the first production expenditures on our own funds (writing, research, scouting the protagonists, filming preparation, trailer production…). Now, we are ready ! Most of the young activists we want to feature confirmed their participation and we are already working with them. This fantastic story is happening in front of our eyes. There is no time to waste ! We are currently looking for funds both from televisions and private partners (such as foundations). But finalizing such deals take time. We do not want to wait to secure our budget to start filming. To start the first two shooting stages this spring, we need 75000 euros, and 75000 euros more for two others ! Through a dedicated website and editorial team (3 people), we want to publish some content collected during our trips and discoveries that would not be make it in the final 90-minutes film edited for theaters. Through live events in Paris held and broadcast from Paris after each shooting session. - FREE to tell the story we really want to tell and share it as it happens. - IMPACTFUL as these young activists and their actions need to be heard, known and supported. Right now. Documentary filmmaking budgets vary… The ambition of making a feature film for cinema with strong procuction values, thoroughly researched, in at least 8 different countries, during several months of filming… means RESOURCES, both material and human. To give you an idea of the amounts necessary to do a documentary, here are some figures: “Tomorrow” by Cyril Dion and Mélanie Laurent costed slightly more than 1 million euros., “Ni Juge, Ni Soumise” by Jean Libon and Yves Hinant, 1,4 million euros ; and “On the way to school”, by Pascal Plisson, 2 million euros. We estimated the total costs of our film at around 1,1 million euros. This is a lot of money, yet, only a very small team will be travelling. Now the tricky part… We want to honor your gift. Big time. But we do not want to add objects on a planet already crumbling under the weight of stuff. a recycled bag made by Mountain Mamas, Melati’s circular social enterprise empowering women to produce alternative bags from recycled material. It is initiated by Melati’s youth led organisation Bye Bye Plastic Bags. Located on the slopes of Mount Batu Karu in Bali Indonesia, 50% of the profit goes back to the village in a budget to be used for improving waste management, education and health, and the other 50% goes back to the work of Bye Bye Plastic Bags. Listen to Melati’s presentation of the project ! TREES : We have an ambitious carbon offsetting program made by KINOMÉ and REFOREST'ACTION. Since 2005, Kinomé improves lives thanks to trees. In Europe (France), the social entreprise develops ''kids' forests'', replanted and maintained by school children, their teachers and their local communities. For each tree planted in the North, one tree is planted in a threatened forest in Africa (Togo). Reforest'Action, whose mission is to restore damaged ecosystems everywhere in the world, will also plant one tree in Indonesia (mangrove) and one tree in Peru (Amazon Rainforest) for each tree planted in France. Finally, four trees are planted for the planet! We hope we have a minimum impact on the planet and a maximum impact with you. I write books, portraits and stories, documentaries, TV series scripts. Whatever the format, I work on the end of the world as we know it on one hand and the one to come and those (women, men, kids) who might make this transition happen on the other one. Doing so, I have worked with activists for years. To a point where I probably have become one! Hence this film I have been nurturing for many many months and I feel blessed to now share with the best allies and crew ever. You can find more about my work here. I created Elzévir Films in 1993 with my partner Marie Masmonteil. Since then, we have produced more than 50 films for cinema and television, such as Live and become (Radu Mihaileanu, 2005), Home (Yann Arthus-Bertrand, 2009), The Source (Radu Mihaileanu, 2011), Leadersheep (Christian Rouaud, 2011), Party girl (Marie Amachoukeli, Claire Burger and Samuel Theis, 2014), etc. many of them dealing with environmental and social issues. When discovering what Melati and her peers where capable to do in their own communities, it was clear for me that I should participate in this movement in the making, and do my best to give this documentary the wider impact possible. For more than 20 years I have been involved in environmental and social causes, trying to raise awareness for a more equitable world. Becoming a mum, I felt right away that my kids had so much to teach me. As the new generation, they are choosing life and dignity. And they are showing us the way. This is why I have decided to produce this film, and assist Flore in shining a light on Melati and all these young activists who want to make a difference. Coordinates the researches and the links with the young activists, assists in the writing, contributes to video editing. Long story short, she does EVERYTHING. Without Anouk, no story. Prepares the filming stages, sets the dates, secures the production agenda, cameras and visas, recruits the talents, even films when needed. Without Dorothée, no filming. Tracks the budget, drafts the contracts, secures the rights, and ensure the proper, safe and smooth running of everything. Without Ulysse, no proper work. 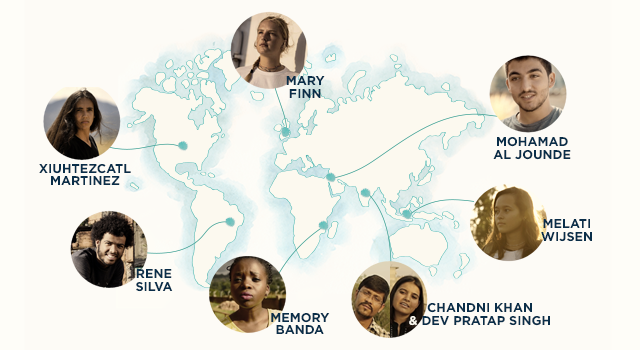 How did you select the young activists who will be featured in the film ? This significantly narrowed down the list. We called all the young activists remaining on our list and we chose those who were the most interested and enthusiastic to participate. And also those for whom the film could be the most useful. Even if our scouting is almost completed, feel free to submit your ideas and suggestions of youth to include in the film ! The criteria are those explained above. Why aren’t there more westerners in your film ? We have the fantastic Mary Finn from England, and at least one young activist in the U.S. And of course we won’t skip the youth-led movements and strikes for the climate all over the world, including in Europe. However, we are aiming for a movie really addressing the situation, i.e, representative of what is living this entire generation. And today, 85% of the 15-25 years-old are living in developing countries (according to the UN, 2015). And these are those over-exposed to the trauma of our world, which might explain their power of resilience. - 25% of the slaves (ILO). Why do you want to make a documentary feature film (for cinema), instead of free videos on the Internet, if your objective is to have the more impact possible with limited means ? - set a high artistic standard. We believe only Arts last. On the Internet or anywhere else. You want to do a film and a project to raise awareness, including about climate change, but you are going to fly all around the world and thus have a big carbon footprint. Where is the coherence ? We have not solved this issue yet. We will try to be exemplary, without giving up our film. We are learning from the best practices of responsible travelling transmitted by those who have the experience. - We are over-offsetting the impact of our trips. We calculated our carbon footprint and put in place a program made by KINOMÉ and REFOREST’ACTION to plant trees in the world to counterbalance more than this amount. - For the accommodation, we will choose small structures, as close as possible to the living environment of the people we are meeting. Most of them live in areas remote from tourists regions. This is part of te film, the adventure to get closer to them. - We will hire local talents for the second camera, the control unit, and the executive producers on location. What are we playing at ? The movie. Let's think about tomorrow's rugby. Il était une fois... Publishing & Journal. Your name on the thank you page of our website. Forever. + We let you know about the date et location of our events in each country, and in Paris when we return from each filming location to tell you EVERYTHING ! + Your name on the ENDING CREDITS of our film. Your contribution is helping reforest the planet with 1 tree planted in Europe (by students in France ! ), 1 tree in Africa (Togo), 1 tree in South America (Peru) and 1 tree in Asie (Indonesia... Melati's home!) by KINOMÉ and REFOREST'ACTION. So 4 trees planted in the world ! A ticket to watch the film in a cinema near you when released in France (travel at your own cost). - Our digital travel journal with filming notes, photos and videos. - 4 trees are planted in the world thanks to you by KINOMÉ and REFOREST'ACTION. - A ticket to watch the film in a cinema in France when released (travel at your own cost). - Another ticket to our film offered to someone who can not afford it for her or him to watch in a cinema in France when released. You are really doing great ! - A ticket to watch the film in a cinema near you when released. - Another ticket for the film offered to someone who can not afford it. The DVD of the film when realeased. A secured link to watch the film when it released in DVD. - A ticket to the premiere of the film with the director of the film Flore Vasseur, in one of the French cities of the tour organized by the distributor (travel at your own cost). - An alternative bag from Moutain Mamas, Melati’s circular social enterprise empowering women in Indonesia (given at the screening). - A secured link to watch the film when it will be released in DVD (out of France only). - A written postcard signed by our team and sent from one of our filming destinations. - The alternative bag from Moutain Mamas, Melati’s circular social enterprise empowering women in Indonesia (given at the screening). - A series of the eight most beautiful photographs of the film, printed and selected by our team. + Special thanks in the film credits. + A lunch in Paris with the director of the film Flore Vasseur and the producer Denis Carot in small group in Paris, for an insider discussion about our filming and crreative process (travel at your own cost). We, director of the film Flore Vasseur, producers Denis Carot + very special guest, will come all together for a private screening (organized by you or your organization in Paris) with your own guests! A very special night with your colleagues or relatives !